Executives from Macy’s testified today at New York State Court in Manhattan about how Martha Stewart allegedly broke an exclusive deal with the retailer, opting to sign with rival department store JCPenney.It became immediately apparent that this is a very personal fight. Macy’s CEO Terry Lundgren and Stewart were friends — or so he thought. Stewart said that it’d be a good deal for Macy’s, but that’s when Lundgren couldn’t take it anymore. He hung up on her. It was the first time he’d hung up on anybody, assured Lundgren. And it’s not just the big boss who’s mad at Stewart. Macy’s merchandising EVP of home Laurene Gandolfo got emotional when she testified, according to Women’s Wear Daily. “I really put myself out there for these people,” she said. “Nobody told me to train their designers, nobody told me I had to take them to our factories. 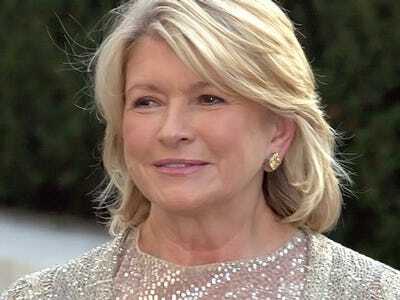 I trusted…the people I was working with [at Martha Stewart]. “I was trying to help and felt like they stabbed me in the back,” she continued. Last Thursday, the longtime president of Macy’s merchandising group Leonard Marcus testified. He set off some fireworks too.